BAFTA award winning presenters Sam Nixon and Mark Rhodes first appeared on our screens as contestants on Pop Idol back in 2003. Their friendship began whilst filming backstage VT’s and they have been inseparable ever since. Best-known for presenting Sam & Mark’s Big Friday Wind Up (CBBC) for which they received two Children’s BAFTA’s, the show has now been running for an impressive eight series. 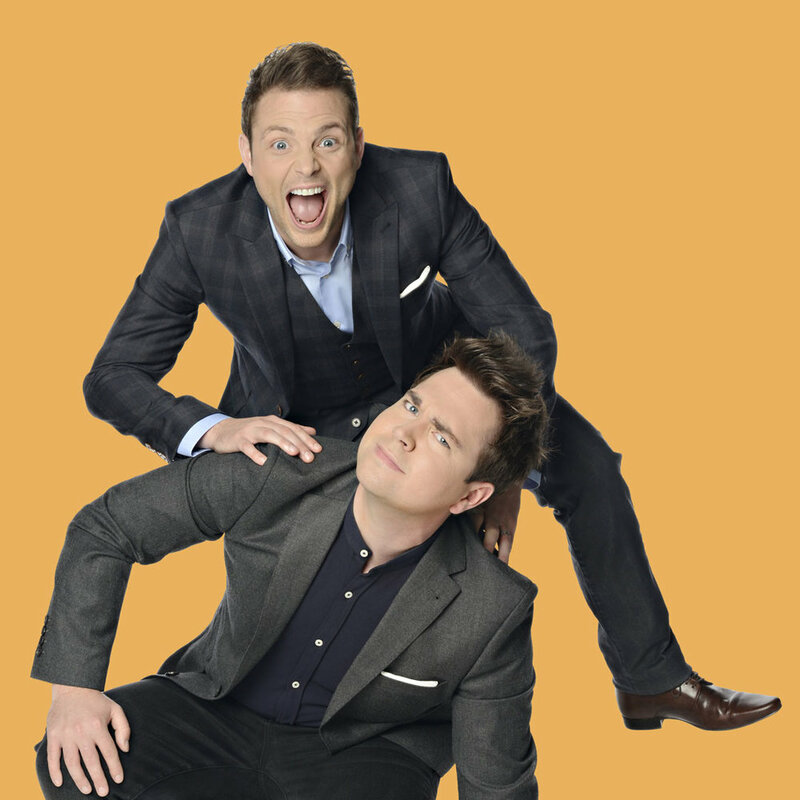 Sam and Mark are family favourites with a wealth of credits including shows like Level Up, TMi, Top of The Pops Reloaded, Sport Relief Does Glee Club, Copycats, Junior Bake Off, Taking the Next Step and Match of the Day: Can You Kick It. Alongside their TV success, the duo are also well-loved authors, having published their first children’s book The Adventures of Long Arm in 2015 followed by the release of their second book The Adventure of Long Arm vs The Evil Supply Teacher. 2017 saw the release of their first picture book The Stink Before Christmas. With hundreds of hours of live TV under their belts, it comes as no surprise that they have also created a high energy and fun filled family stage show, which they have performed up and down the country, delighting audiences at live events, festivals and the national institution that is Butlins.